LOL… did you see what I did there in the title!! I was on Today Tonight last night (view the segment below), sharing some of my household tips. Welcome to any that is new to my website! I’m Kat a mum of 3, twins are now 15 and youngest is 13. I have been sharing my tips on my blog since my youngest was 5. I haven’t always been organised, I used to cry behind closed doors because the house was a mess and having three kids two years and younger was hard work. But I managed my way through it by creating systems and routines to get back the control of our home and ultimately be a happier version of me! Initially, Today Tonight wanted to do a segement on meal planning (because I am a huge advocate for meal planning), but Rod, the journalist, looked through my blog the night before and loved all my content so he wanted to include more into the segment. 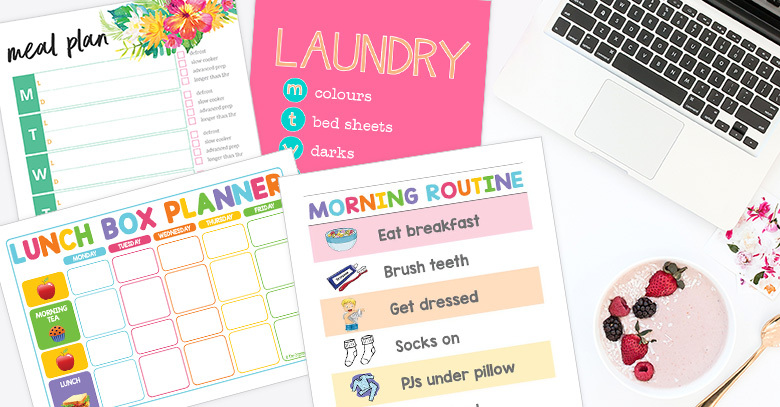 They mentioned quite a few of my printables and I’ve been getting emails with many enquiring about them, so I thought I’d share all the details in a blog post. 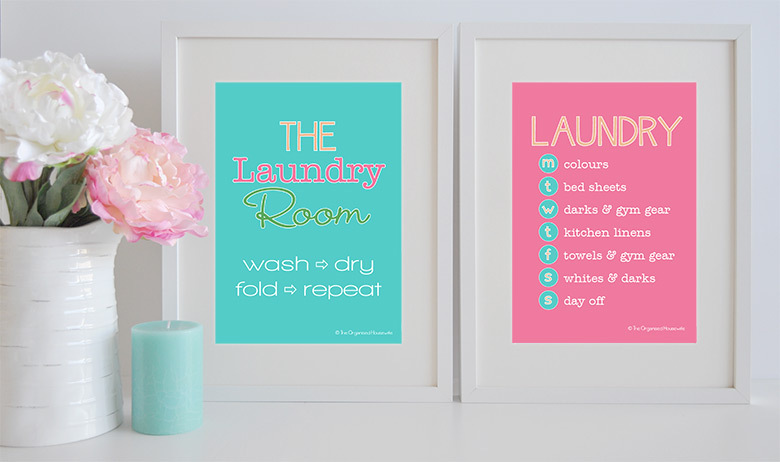 These are the printables I use to help keep my household organised. available in my shop as an instant download here. There are 7 pages in this file, each page starts with a different day of the week. I grocery shop on a Sunday so I like my meal plan to start on a Sunday. I place my blank meal plan into an A4 glass photo frame and use a whiteboard marker on the glass to easily reuse each week. I display the frame in the kitchen so all the family can see so if I’m not home they can start dinner. Struggling to find the motivation to clean your house? Don’t know where to start? Feeling lost? Overwhelemed? Disheartnened? I can help! 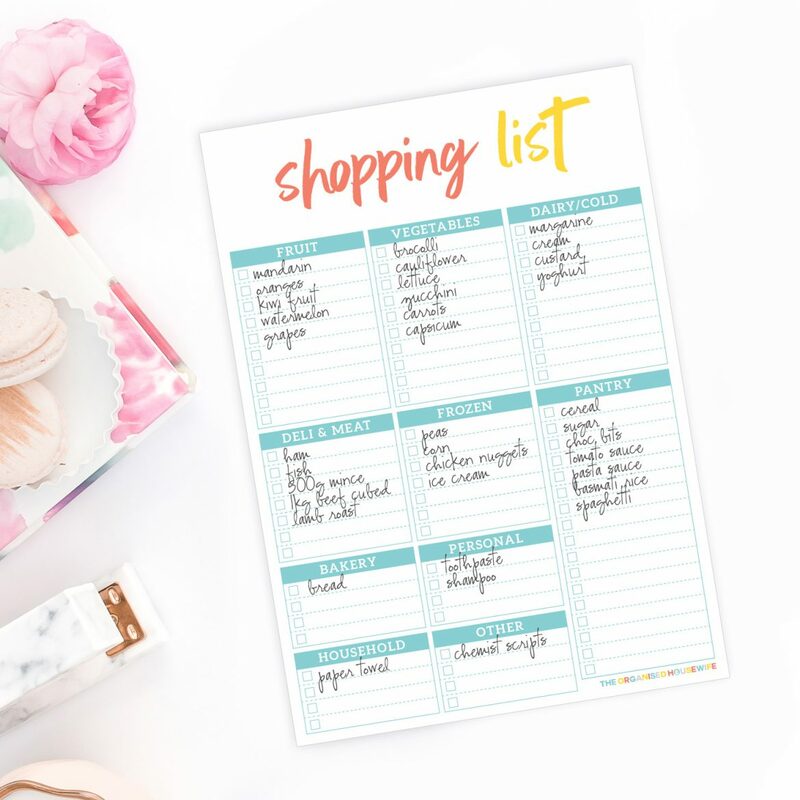 With my Seriously Simple STEP-BY-STEP 20-DAY ACTION PLAN for an Incredibly Clean & Organised Home – Even if you dislike Cleaning, Cooking and Chores! 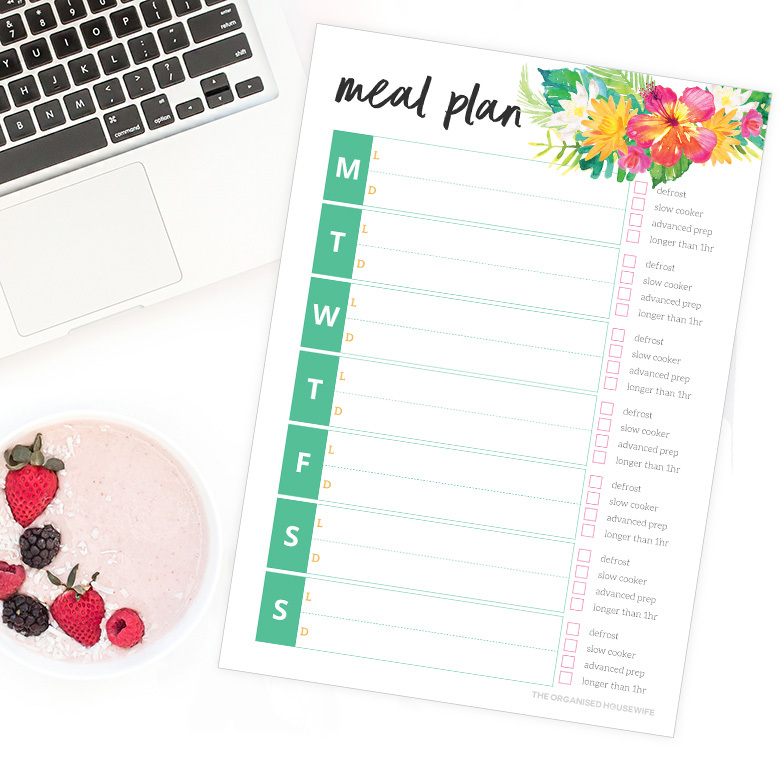 blank lunchbox planner is available in my shop as an instant download here. Before you do your weekly shop, create a plan of what you want to pack in the lunchbox for the week and add the items to your grocery list. 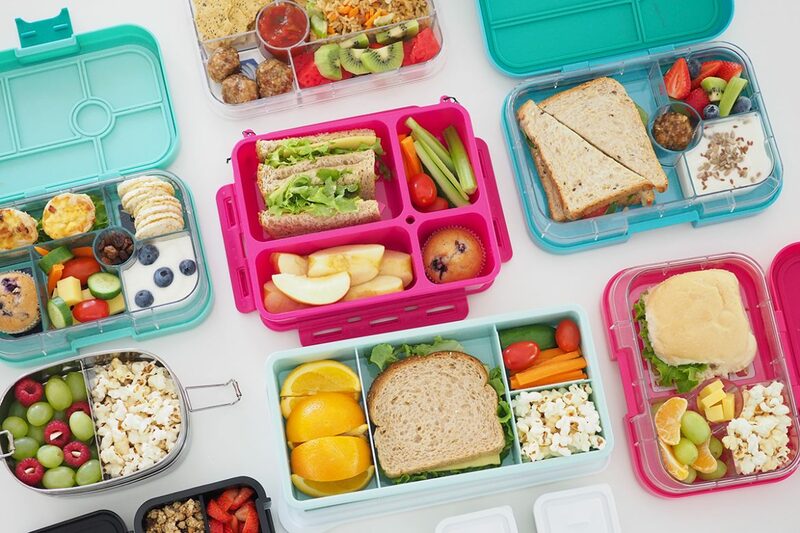 To have all the food on hand will ensure that the kids have a healthy lunch for each day at school and won’t be reaching for sweet food at the back of the pantry, or into your pocket for tuckshop money. view my freezer friendly recipes here. I like to spend a few hours over school holidays doing up some baking for kids lunchboxes. I place it all in the freezer so the kids can pack them into their lunchboxes. This saves time throughout the school term where I may not have time to bake and saves money, cheaper than buying biscuits and muffins from the supermarkets. 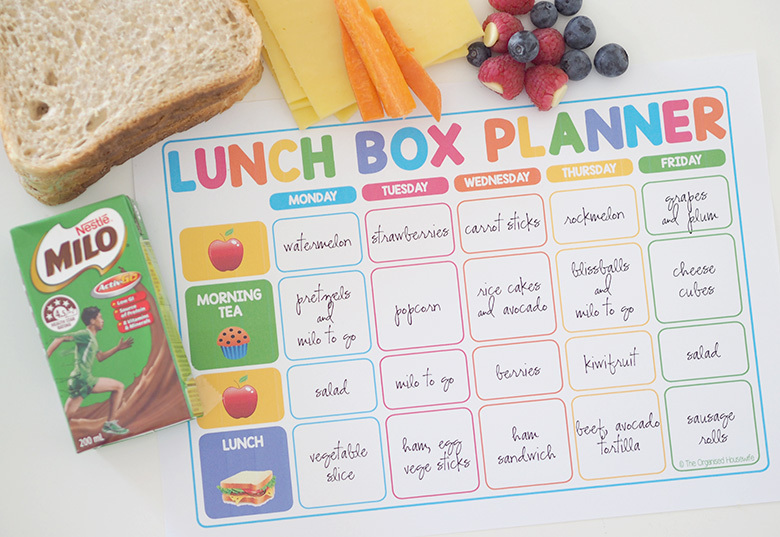 I have loads of freezer friendly lunch box ideas. Plus tips on how to freeze and defrost that will save you so much time when packing lunches for the kids. available from my shop here. available in my shop as an instant download and to personalise here. School mornings are like ground-hog day. If you find your constantly repeating yourself asking or yelling to the kids if they are dressed for school, have they brushed their teeth? This can make a stressful start to the morning. Eliminate the nagging and yelling with these routine charts which lists the expectations of the kids each morning. Laminate or frame it and place in an area for easy viewing. This is my cleaning checklist which includes daily, weekly, monthly, quarterly and annual tasks. 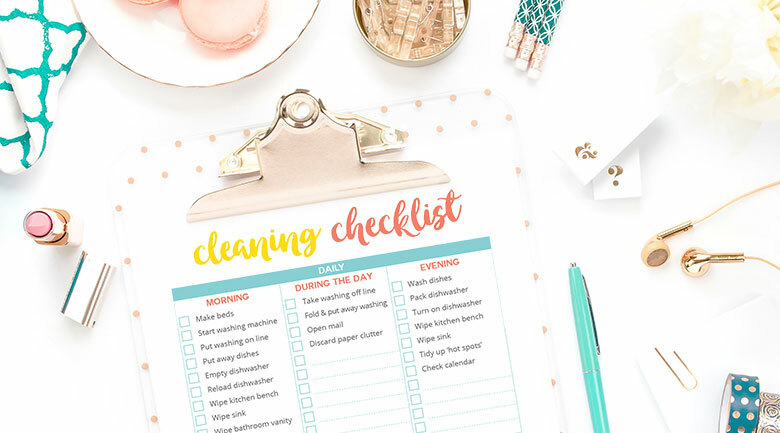 This checklist will help you remember cleaning tasks and create a routine to suit the time you have available. Please take your time looking through the blog, and stay up to date by subscribing to my weekly newsletter where you will receive a Tomorrow is a New Day Print for FREE!! Frame it and place on your wall to help you remember that even though today may feel bleek, that Tomorrow is a New Day. What is your biggest struggle with keeping your home organised? Congrats on your Today tonight segment. The thing for me is you are genuine. That l have a different system – no kids here – doesn’t matter. The main things to know from you is, organised house persons have less preparation and it is more economical. An easier life means a happier life for me. The old adage, “A stitch in time . . .” really works. Happy Easter to you and your lovely family, Kat.